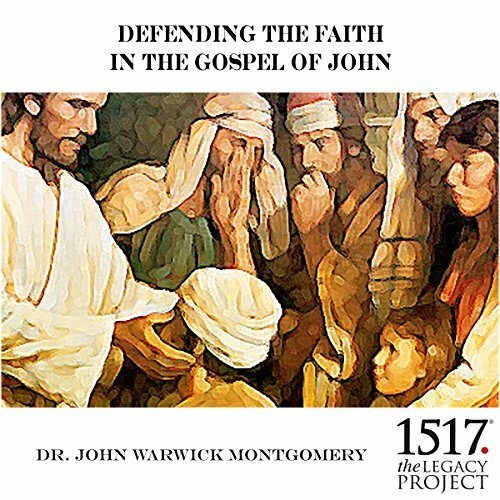 Showing results by narrator "Dr. John Warwick"
Centuries ago St. Paul stated the issue succinctly: "If Christ was not raised from the dead, then neither our preaching nor your faith has any meaning at all" (1 Cor. 15:14, Phillips). 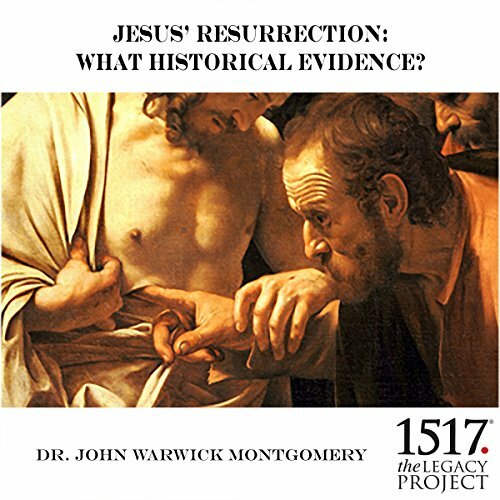 Dr. Montgomery presents the case for the historicity of the resurrection and the reliability of the New Testament accounts of the resurrection. Dr. Grabbe, dean of the Theology Department at the University of Hull, argues that very little is known or knowable about what may have happened. The history of apologetics, from Paul on Mars Hill to CS Lewis at Oxford. 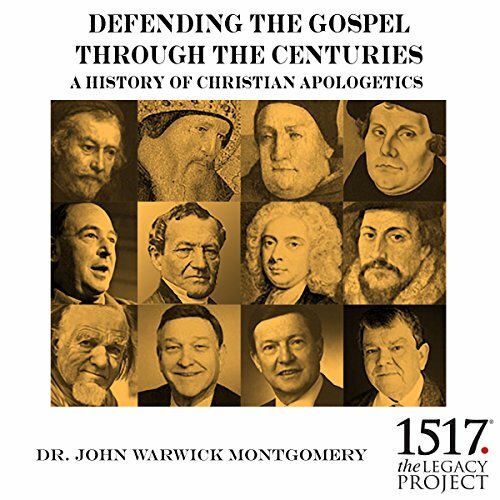 Learn how Christians have defended the faith as each age has leveled attacks upon it and how relevant the master apologists of the past are to our contemporary witness for Christ and the Bible. 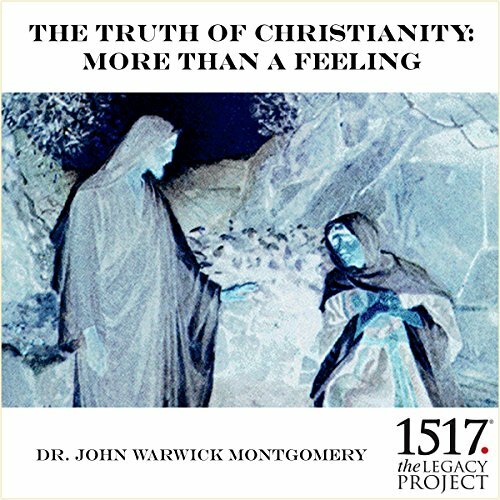 Dr. Montgomery, in easy to understand terms, shows that Christianity is sensible and does have answers to the critical questions of life. 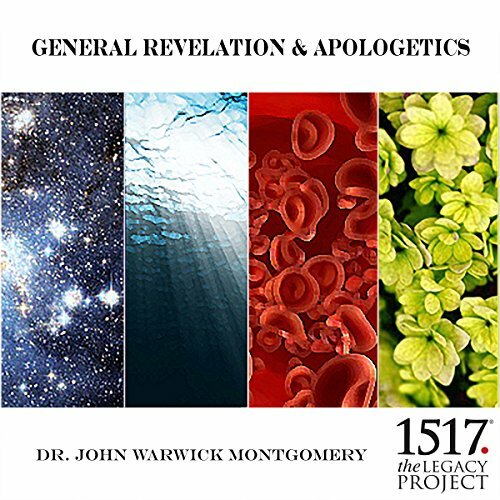 Whether you listen to these audio files alone or in a group study course, you will find that your knowledge and understanding of the Christian faith will be enhanced and your ability to communicate this knowledge improved. 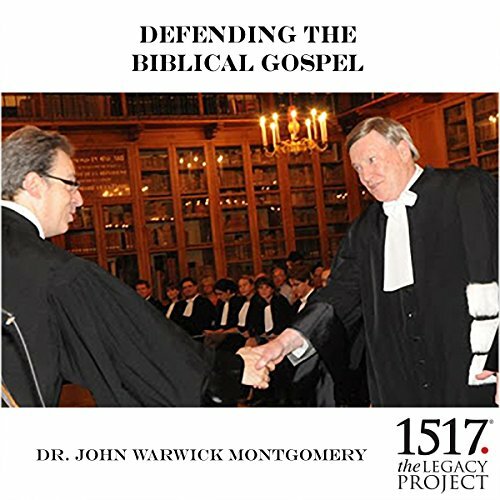 Dr. Montgomery presents a careful exposition of the fourth Gospel. These popular lectures were delivered as a series to an enthusiastic audience in the late Walter R. Martin's Southern California Bible Class. Now these dynamic talks can be heard in their entirety - for the building up of the saints and as a challenge to the unbeliever. A condensed version of Defending the Biblical Gospel and Sensible Christianity, with additional material on cults and other religions (Christian Science, Jehovah's Witnesses, Mormon, Islam, and eastern religions). Whose Life Is It Anyway? An examination of legal and ethical issues surrounding the questions of suicide and assisted suicide. November 1997. 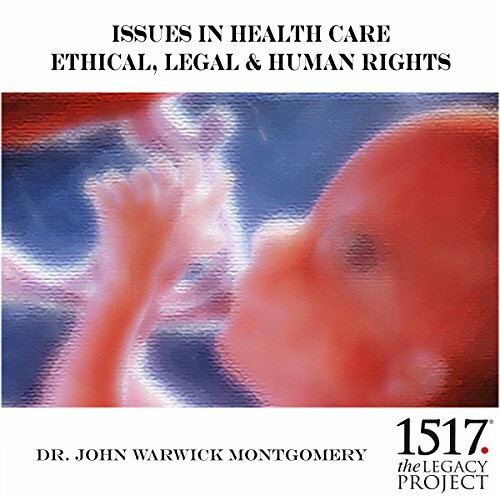 Issues in Health Care: Rights of the Unborn This lecture is based on the prize-winning essay "The Rights of Unborn Children", in which the legal protection offered to the unborn in Canada, Germany, the United Kingdom, and the United States are compared. The ethical implications of the law are examined. 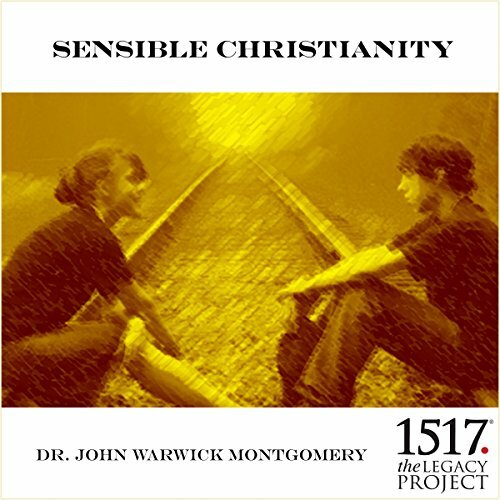 Dr. Montgomery's brief for the truthfulness of Christianity, using legal standards of evidence. Given at the University of Calgary, in Calgary, Alberta on November 15, 1991. 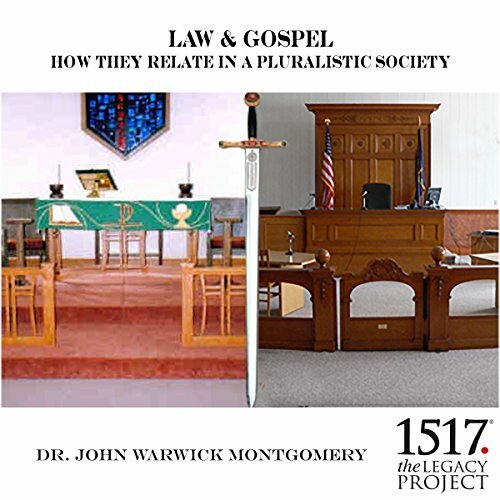 This is a treatment of the concepts of law, gospel and the classic three uses of the law, together with their application to the crucial question of the appropriateness of legislating a Christian agenda in a pluralistic society. 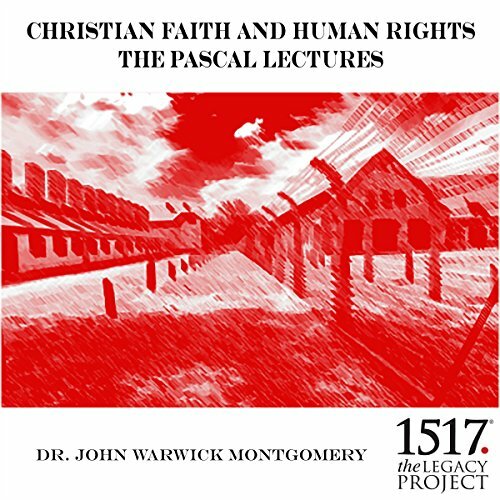 In 1987, Dr. Montgomery delivered the annual Pascal Lectures at the University of Waterloo. In clear, precise, and easy-to-understand language, he details why the inter-relationship between human rights and Christian theology is so critical. He explains why the justification for human rights can be founded only on a revelation that transcends human knowledge. He then provides reasons why Christians, on the basis of that revelation, should be keenly interested and active in human rights issues. What can one know about God from a study of the world around us, and how can this study prepare us for a special revelation from God? Reveille Scholar Lectures: In 1970 Dr. Montgomery was the visiting Reveille Scholar at the University of California - San Diego. 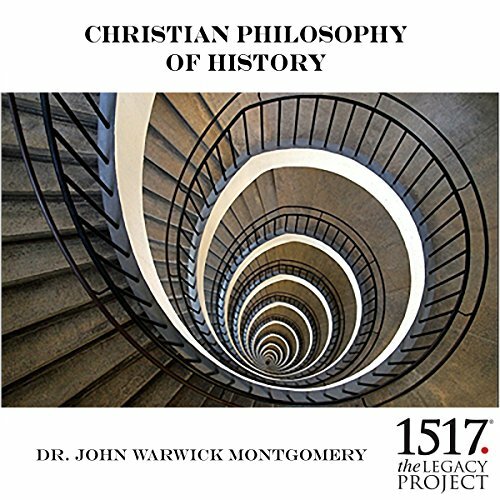 This set is comprised of the series of lectures in which he developed a Christian approach to the study of the philosophy of history. Where is History Going? : A critique of secular philosophers of history such as Marx, Spengler, and Toynbee, and presentation of a Christian philosophy of history. 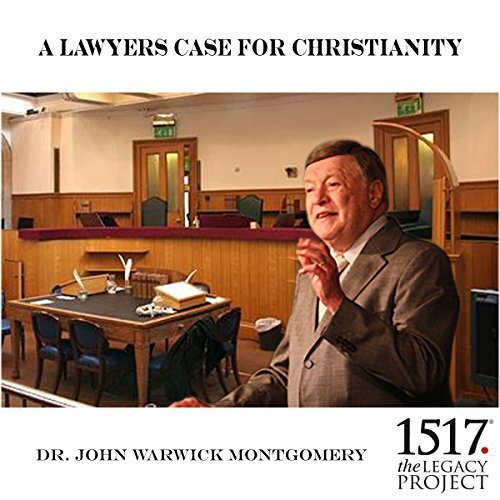 The Inns of Court School of Law in London, England, was the scene of a lively debate on the truthfulness of the claims of two of the world's most prominent religions on October 17, 2003. 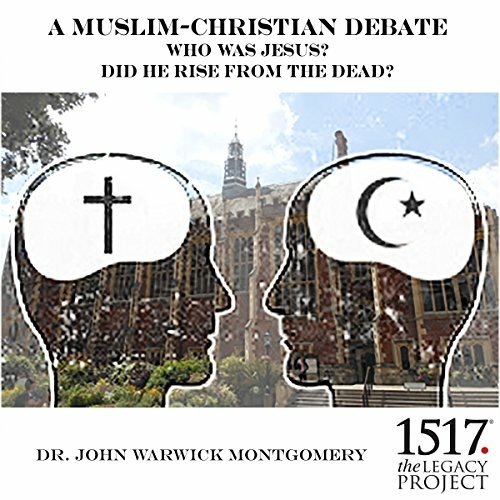 The debaters were Shabir Ally, a graduate of Laurentian University in Sudbury, Ontario, with a BA in religious studies, and president and founder of the Islamic Information and Da'Wah Center in Toronto, Canada; and John Warwick Montgomery. An appreciation of the "greatest common law jurist of the 20th century". 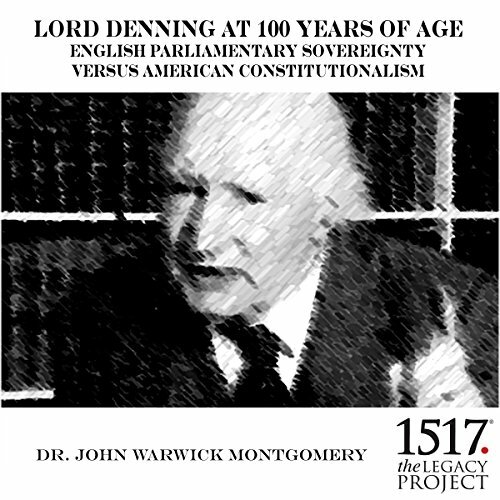 Includes a comparison and contrast of the parliamentary system of Commonwealth countries within which Lord Denning operated and American constitutionalism. Two lectures. 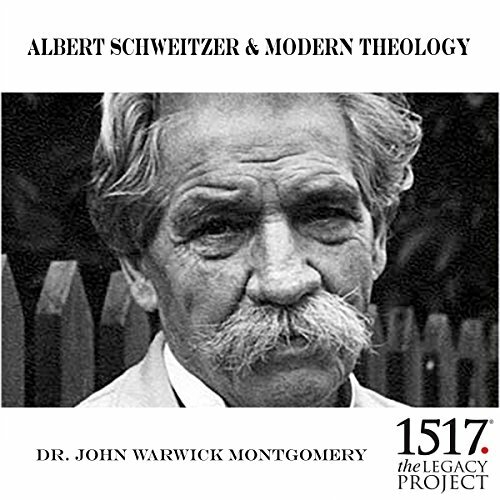 An introduction to Albert Schweitzer's (1875 -1965) life and thought, especially as it relates to the quest for the historical Jesus. Law is fundamental to human society and is one of the grand themes of Holy Scripture. 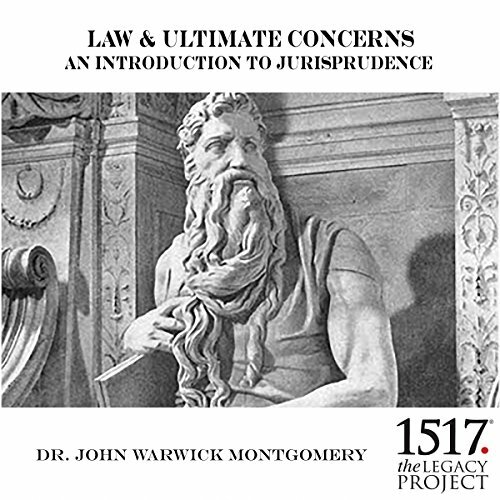 Dr. John Warwick Montgomery taught a full-year course in jurisprudence - the philosophy of law - at the University of Bedfordshire in England. Here is the full cycle of those lectures covering the history of legal thought from ancient times to the present and the central topics in the field (legal reasoning, legal ethics, the foundation of law, etc.). No book in the entire Bible has had such an impact for theological conversion as Paul's Epistle to the Romans. St. Augustine came to Christ on hearing Romans 13:11-14; Martin Luther's study of the book brought him to an understanding of salvation by grace alone through faith; John Wesley's heart was "strangely warmed" as he listened to the reading of Luther's Preface to the Book of Romans at a little Moravian chapel in Aldersgate; and Karl Barth sounded the death knell of pre-World War I liberal theology with his Commentary on Romans. 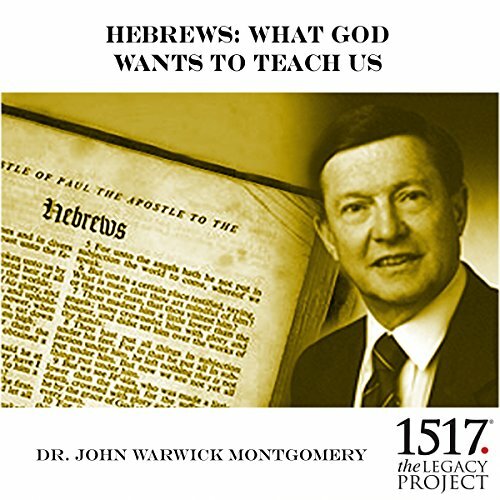 The one book of the Bible which best unites the Old Testament with the New is the Epistle to the Hebrews. Produced in Apostolic circles, doubtless by a companion of St. Paul, it remains the best account in all of divine revelation as to how the history of Israel and its sacrificial system were God's vehicle for the coming of Jesus the Messiah. 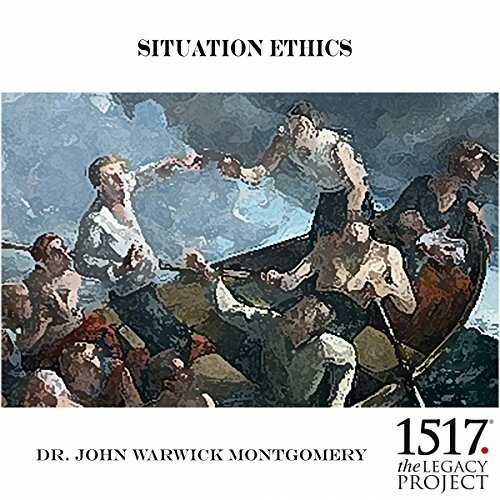 A live recording of the historic debate between the late Joseph Fletcher, father of "situation ethics", and John Warwick Montgomery at San Diego State University. A devastating critique of all attempts to base morality on contexts, situations, or relativism. 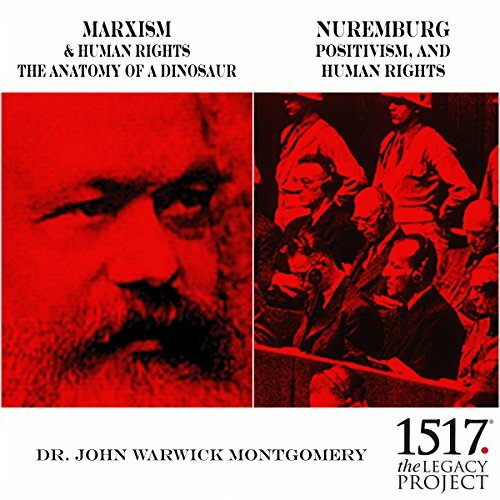 Two lectures analyzing and critiquing the efforts by Marxists and legal positivists to establish credible bases for human rights.